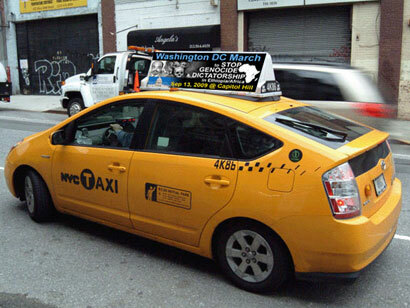 We are pleased to announce a March to Stop Genocide and Dictatorship in Ethiopia/Africa to be held on Sunday, September 13, 2009 in Washington D.C. from 12:00 noon to 5:30 PM. We are calling for thousands of freedom-loving people of the world to come out to march in order to bring world attention to the gross human rights abuses, tyranny and oppression of Ethiopians under the current brutal government of Prime Minister Meles Zenawi as well as in other countries in the Horn of Africa and in Africa as a whole where similar conditions exist. Such a large-scale event will send a message to Ethiopian and other African dictators that it is time to end the senseless killing, the injustice, the corruption and the repressive dictatorships that have created a human catastrophe for the people of Ethiopia, the Horn and Africa. More aid for the victims is not the simple answer; instead, we must confront the systemic cause of much of the suffering—the lack of value placed on human life, on truth and on justice that is rooted in the lack of morality. Only through the moral transformation of our people, our institutions, our governments and the systems sustaining them, is there hope for the people of Ethiopia, the Horn and for Africa. Will you join us and become part of the solution? Anyone who wants to see a better Africa emerge, needs no invitation to come on September 13 to join in supporting the call for the upholding of God-given values and principles as the means to restore this beautiful land and people to vibrant health, relationship, life and productivity. To unify Ethiopians, other Africans, African-Americans, Americans of any color and others of any nationality by coming together as human beings first; not as people of a certain ethnicity, color, political view, religion, region, country of origin, gender, viewpoint, educational level, economic class or any other distinction, but as people who care about justice, peace and reconciliation. To motivate and empower the people within Ethiopia, the Horn and in Africa, who will be encouraged in their struggle against tyranny and oppression. To show Meles Zenawi and other African dictators that Africans have “had enough” and are ready for change! We know these dictators will hear our voices if we can bring thousands of people together. It alone will be a powerful statement that no one could deny. To let the Obama administration and other donor countries to Ethiopia and Africa see solidarity among freedom and justice loving people who want genuine CHANGE in Africa. To hold a town hall meeting with elected officials, members of the state department, human rights groups, donor country representatives, religious leaders, humanitarian organizations, civic organizational leaders and business leaders interested in supporting the creation of good governance in Ethiopia and in Africa. To gain news coverage in the mainstream media to let the world know about the repressive government of Ethiopia and to show them that Ethiopians and other Africans are ready for change. Speakers will include prominent human rights activists/leaders, celebrities, faith leaders, genocide survivors and political leaders. Invited Guests: Interested persons, civil rights groups, social justice organizations, faith communities, human rights organizations, student groups, women’s groups and other civic organizations, associations and friends of Ethiopia who might join in support of freedom and justice for Ethiopia, the Horn of Africa and Africa. Petition Signing Before and During the Event: To be delivered to elected officials within each state by those attending. Capitol Hill Advocacy Visits: Monday, September 14: Advocacy visits by constituents to their respective elected officials, which take place on Capitol Hill on Monday from 8:30am-3:00 pm. Mark this date on your calendar! You presence at the march is what will make it successful! This is a rally where Africans and friends of Africa can join together to say “enough is enough—it is time to stop genocide, gross human rights abuses, repression and corruption in Ethiopia and in Africa!” This is a rally to bring morality, truth, justice, human dignity, human rights and civility to Ethiopia and Africa because we cannot tolerate the suffering and pain of the people anymore. Just take half of your day to come to this event to help jump-start a movement of people towards bringing about deep and sustainable change in Ethiopia and in Africa. Come and be a voice for the voiceless by joining us in Washington D.C. on September 13, 2009. For Ethiopians, you can make this as your Ethiopian New Year’s resolution. Sacrificing for this one day is nothing compared to the sacrifices so many have made, like those who gave their lives for freedom after the election of 2005 and those who stood up for what was right—like Ms. Birtukan Mideksa, Ms. Hirut Kifle, Teddy Afro; Mr. Bashir Makhtal; Mr. Tsegaye Gerbremedhin; Mr. Abera Yemaneab; Ms Aberash Berta; Major Adugna; Mr. Yonas Getachew, Mr. Jumma Rufaai —and because of it, are still languishing in prisons throughout Ethiopia along with many others whose names we will never know. We must not forget them! May God show us the way and give us the moral courage and will! Sponsors: The organizing committee for the march invites interested organizations, groups, businesses and individuals to become part of a greater coalition of sponsors for this event. We are please to announce the launch of a new website devoted to this march! For more information please visit www.march4freedom.org.